Last time on Gotham, it looked like the end for Bruce Wayne (David Mazouz), but we know he can’t die – he’s Batman! Mazouz was a standout during the latter half of the season, with quite the game face. The monks almost sacrificed him, but he was saved at the last minute by Cat, Alfred, Jim, Bullock (Camren Bicondova, Sean Pertwee, Ben McKenzie, Donal Logue), especially Bullock with the late wheezing stair climb, and the GCPD. Silver redeemed herself (kinda) at the last minute. The fall finale was chock full of people trying to escape, but alas, for Theo Galavan (James Frain), Jim was the one who put an end to him. Last week on Gotham, Selina and Bruce (Camren Bicondova and David Mazouz) play Silver by hiring Tommy Flanagan from SOA to pretend to torture Bruce for info. She spits out a name, and shows her true colors. There is a really sweet moment between him and Selina. All three of them did a bang up acting job last week. 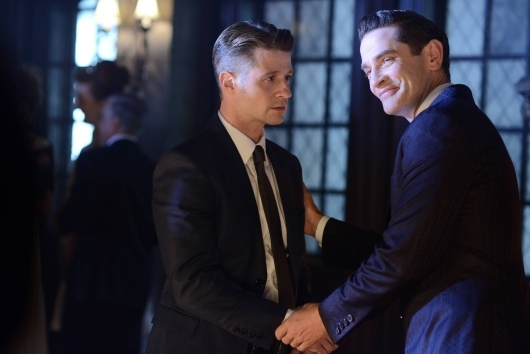 Galavan (James Frain) was set free, because the former mayor recanted and said it was Penguin (Robin Lord Taylor) who kidnapped him. He obviously didn’t do it. He and Nygma (Cory Michael Smith) are playing mundane, yet funny roommates. 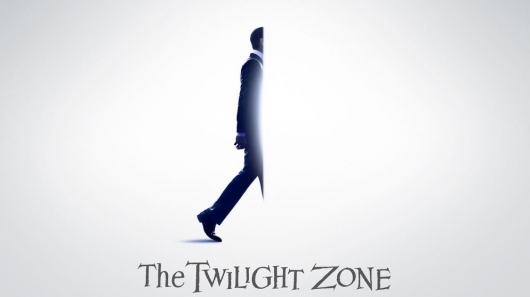 Jim (Ben McKenzie) flipped though. He punched Galavan and got dragged out… by Galavan’s men. Galavan has fighting skills. He told his men to kill Jim, but Penguin saved him. Theo went to Bruce Wayne’s to kidnap the “Son of Gotham” for a deadly monk ritual. 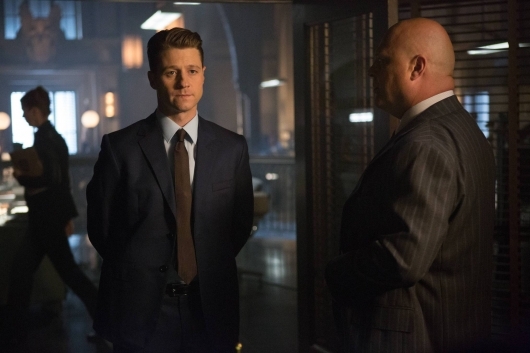 Last week on Gotham, with Mayor Galavan (James Frain) in jail, Tabitha (Jessica Lucas) hires an assassin, who sends man after man to kill Jim Gordon (Ben McKenzie), while he is at the Galavans with Barnes (Michael Chiklis). Bruce (David Mazouz) turns to Silver (Natalie Ann Lynd) for info. Selina (Camren Bicondova) brings proof that she’s a liar. Nygma (Cory Michael Smith) helps Penguin (Robin Lord Taylor) cope with his despair, and they celebrate with murder. The monks arrive to town. 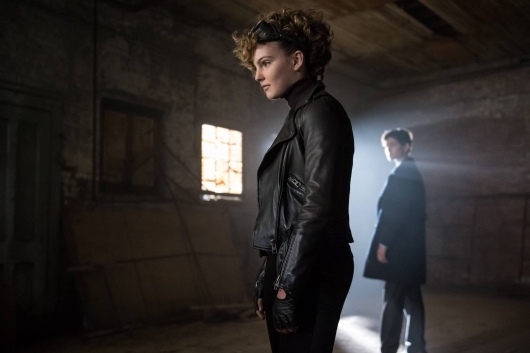 Last week’s Gotham was super crazy from the start with an insane Barbara (Erin Richards) dream sequence. 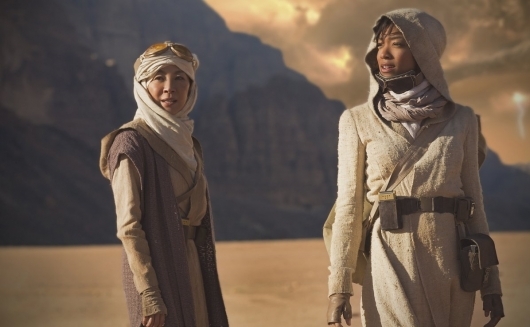 She sets out to kill Jim (Ben McKenzie), by luring him into an ambush, and holding him and Lee (Morena Baccarin) hostage. They get away with the help of a smart Bullock (Donal Logue) and the GCPD. While chasing her, she falls and went into a coma. Galavan (James Frain) tries to get Bruce (David Mazouz) to sign over the company, but is arrested in front of him, after the cops find the Mayor James. 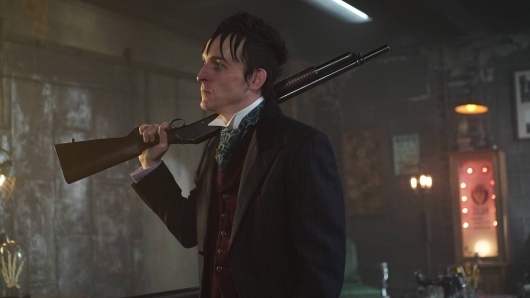 Nygma (Cory Michael Smith) goes to bury Ms. Kringle, and ends up killing some random guy, and runs into Penguin (Robin Lord Taylor), who needs help. 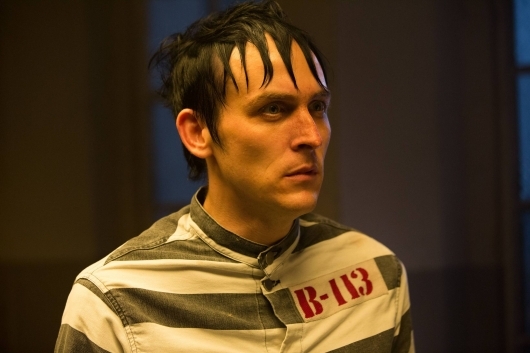 Last week on Gotham, Penguin (Robin Lord Taylor) and Butch (Drew Powell) go to rescue his mommy, but the worst happens. Butch is no longer a slave, so he turned on him, and Tabitha (Jessica Lucas) kills Penguin’s one true love – his mom. 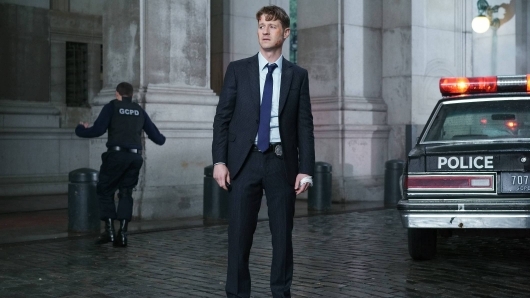 Jim and Bullock (Ben McKenzie and Donal Logue) find out that Galavan (James Frain) is behind all of it, so when Penguin and his army of penguins attack the mayoral celebration (Galavan won unopposed), Jim is not surprised when Penguin tells him. Galavan is surprised though. Selina and Silver (Camren Bicondova and Natalie Alyn Lind) have a showdown about Bruce (David Mazouz), but Silver won. Selina may be streetwise, but she’s not wise to the ways of bitchy girls. Nygma (Cory Michael Smith) and evil Nygma try to cover up his murderous tracks. Some spoilers (not all) ahead! Last week on Gotham, Nygma (Cory Michael Smith) passed the point of no crazy return, when he killed his love (after making love), Ms. Kringle (Chelsea Spack). He is wracked with grief. 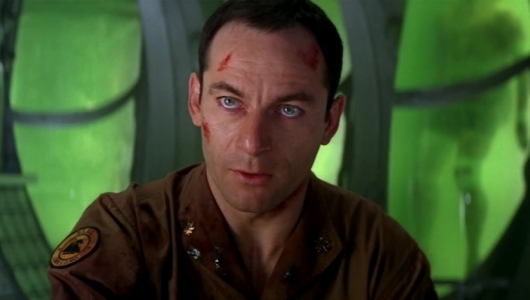 Jim betrays Selina (Camren Bicondova) in her mind, by not saving Firefly. However, as we saw, Firefly is not dead, but in Indian Hill (a Wayne Enterprises affiliate) with her fireproof costume fused to her body. Tabitha (Jessica Lucas) fixes Butch (Drew Powell) of his brainwashing. Bruce (David Mazouz) has dinner with the Galavans. Last week on Gotham, Penguin (Robin Lord Taylor) found himself a slave once more to Theo (James Frain), who kidnapped his mom. Theo wants him to burn some stuff, namely Wayne Enterprise stuff. Butch, with Selina’s (Camren Bicondova) help, find the Pikes, some gleeful arsonists. When one of the crew dies, the other 2 brothers recruit their slave girl “sister.” During a heist, she burns up one of the Strike Force members. Penguin finds out the history of the Galavans and figures out how he can get an “in.” He sends Butch (Drew Powell) was so crazed about his kidnapped mom, he chopped off Butch’s hand, so he could convince Theo that he would be a loyal addition to his team. Theo gets a visit from a familiar stranger.